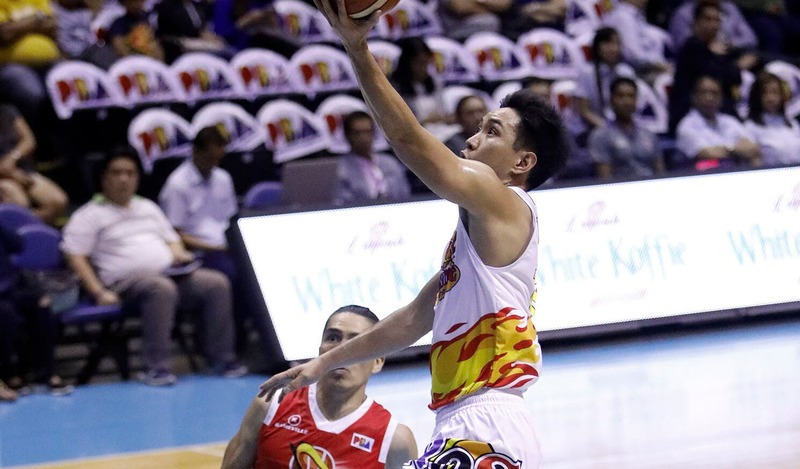 Jeff Chan’s take-charge mentality was evident on Holy Wednesday when defending champion Rain or Shine registered a grind-out 96-94 come-from-behind win over Phoenix. With his team down by as many as 17 points, Chan willed Rain or Shine back to life with baskets from inside and outside, the last, a three-point play off Mark Borboran with 7.7 seconds to go to push the Elasto Painters ahead for good, 95-94. The left-handed sniper from Bacolod finished with 24 points, 12 coming inside the final six minutes as Rain or Shine snapped a two-game skid to improve to 4-2 overall. The 34-year-old Chan’s hot-shooting performance earned him the Accel-PBA Press Corps Player of the Week for the period of April 10-16, besting a tough host of candidates led by San Miguel Beer’s Chris Ross, Meralco big man Kelly Nabong and wingman Jared Dillinger and GlobalPort Fil-American guard Stanley Pringle. Rain or Shine took a long break during the Holy Week but is expected to go all-out in practice as the Elasto Painters gear up for their much-awaited clash with unbeaten San Miguel Beer (3-0) on April 22 at the Mall of Asia Arena. LOOK: This Gym in Ortigas Has Badminton and Basketball Courts inside! VIDEO: Insane Highschool basketball game ends with Buzzer Beaters and 4 OTs!